Earthquake felt in Gwynedd and Anglesey – North Wales | News by Wales Express News, People Before Profit! A magnitude three earthquake was felt in Caernarfon, Gwynedd and Anglesey, North Wales. The British Geological Survey (BGS) said that the Earthquake had originated in Caernarfon at 16.41, but was felt in parts of Anglesey, Bethesda, Bangor, Llanberis and further afield. Those who felt the tremor are invited to visit BGS’s website and fill in a questionnaire about their experience. Social media was busy with comments from those who had experienced the earthquake. There were no reports of structural damage. However due to recent earthquakes, events and devastation that has been happening around the world Wales Express decided to dig deeper and see what the world seismology experts are saying. 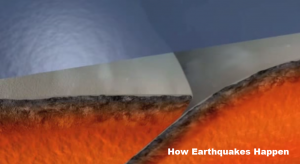 So Wales Express have collected some videos from around the world with some interesting facts about earthquakes, which may be of interest to our viewers. You can find the videos below, just by clicking play.